Chicken Shed Creations - Hand crafted in the UK, bespoke portable bbq, great for any occasion. 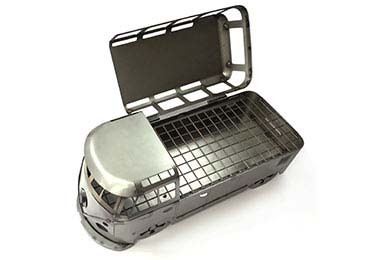 The VW Inspired Barbecue. Chicken Shed Creations, was named after the converted farm building we have been using as our workshop for the last 12 years. If you wish to place an order, please go to the Shop menu, If you are viewing this site on a mobile device then the menu is located at the top of the page, just tap the 3 horizontal bars to the left of the logo. This will open up the site menu. We can ship to anywhere in the world. The Busbecues start at £149 for the pickup style i.e. no roof section and the top model is our 23 window samba bus which is £199 + delivery. They are all supplied with detachable legs to raise them off the ground if you need to and a woven sack to keep it in when you are not using it. We are happy to ship anywhere in the world, we are based in the UK so for example, UK shipping is £15, Europe is from £26, U.S.A is from £60, Australia & The rest of the world is from £69. 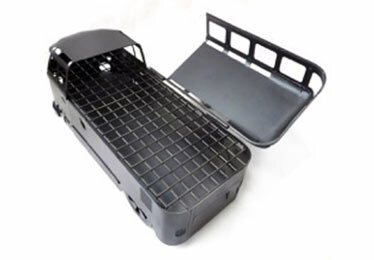 We will offer reduced shipping on more than one item shipped to the same address. 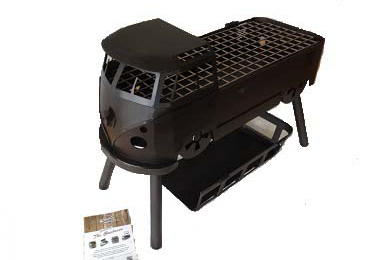 One of our creations The Busbecue is a functional portable barbecue in the design of the classic split screen camper. Contact us at Chicken Shed Creations for more details on any of our creations or any other enquiry you may have.